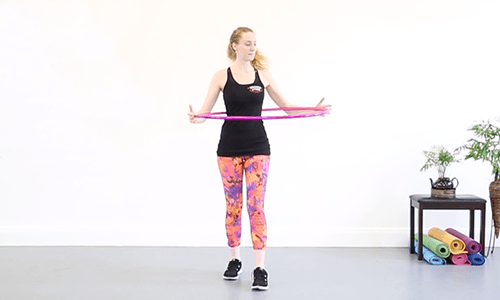 There are several ways to hula hoop – make sure you warm up thoroughly first and then give these steps a go. 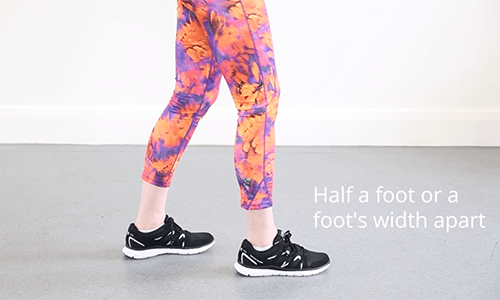 Place one foot infront of the other, about a foot’s width apart (like you’re walking rather than lunging!). Keep your head up or looking forward – try not to look down as it’s hard to hoop on a curved body. Breathe out and relax your shoulders, tighten your core and keep your knees soft. 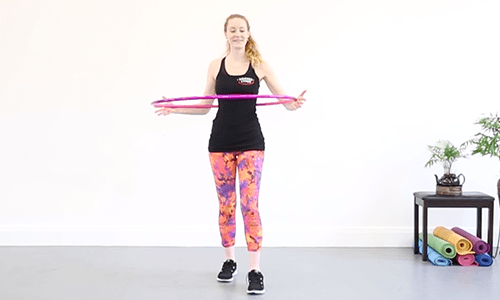 Hold your hoop in the smallest part of your waist – NOT on your hips! 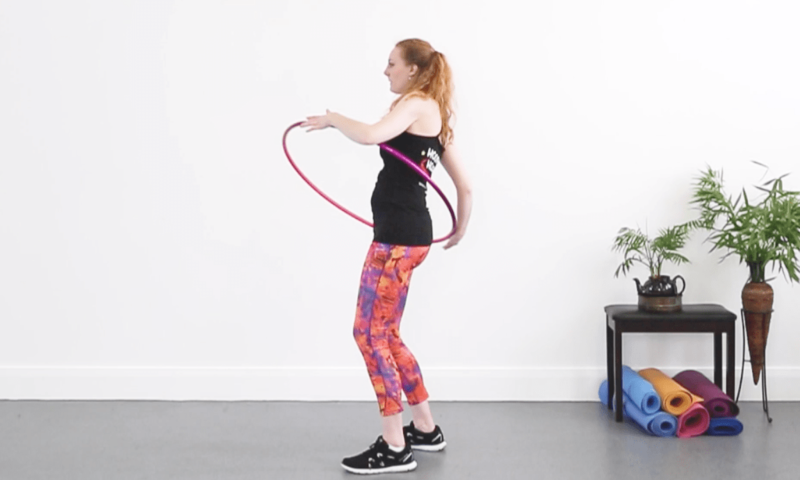 Hold the hoop so it’s supported on either side of your body and your can feel it touching your back. Hold it flat and level. This is really important – a good push sets you up with a better chance of sustaining the movement around your waist. 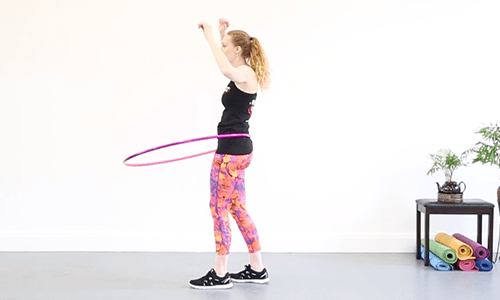 Push with one hand in the direction that feels most natural and just let the hoop fall to the floor. Don’t wiggle just yet. Give this a few goes to get used to the feel of the hoop and to see where it comes in contact with your body. 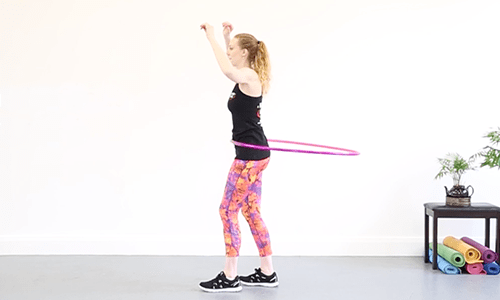 Ensure you push the hoop from one side of your body to the other side to get a good spin going.Make sure you don’t push the hoop at an angle as this will make it difficult to correct the movement around your wait. Use a backwards and forwards motion with your hips – it is NOT a round and round movement. 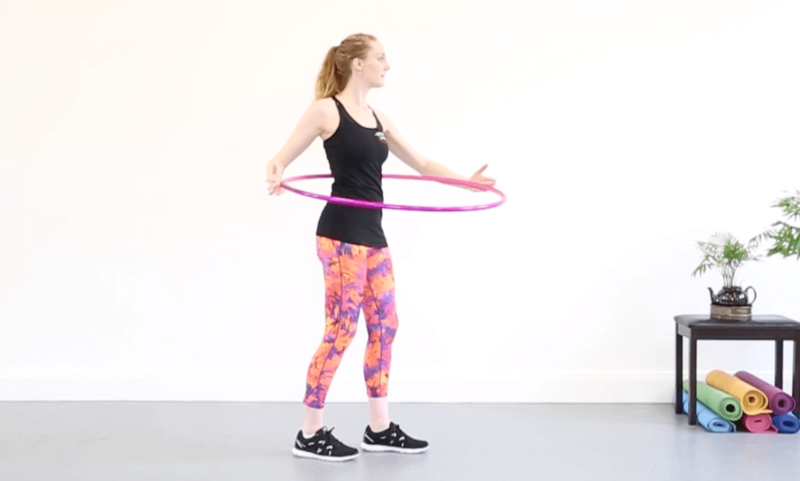 You effectively want to thrust backwards and forwards to keep your hoop moving. Try tucking your bottom in and out in quick succession – like you’re swinging your hips backwards and forwards to close a draw in the kitchen. You can feel a bit silly doing this to start with but the more you exaggerate the movement and the faster you do it, the quicker you’ll nail the move. 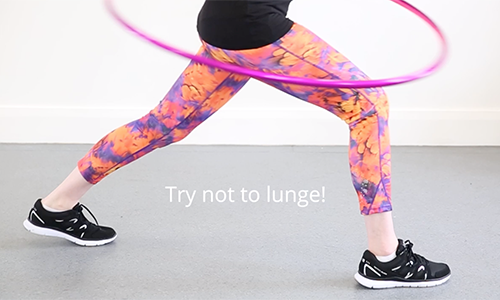 Are you lunging? Move your feet back so they are closer together. It’s very tempting to watch the hoop but this angles your body. Place your hand behind your head, like you’re super relaxed, to stop you looking down and watching the hoop. Most people start really slow, it’s actually quite a quick movement. Try going faster. This comes naturally to some and not so much to others. It’s a new skill and like any new skill (dancing, martial arts, football, archery, maths, english, playing a musical instrument) it takes practice – you can do it! If you’re really stuck or just want to learn more, find out when and where the next class is taking place or if you’re learning from a distance, check out the video tutorial below.